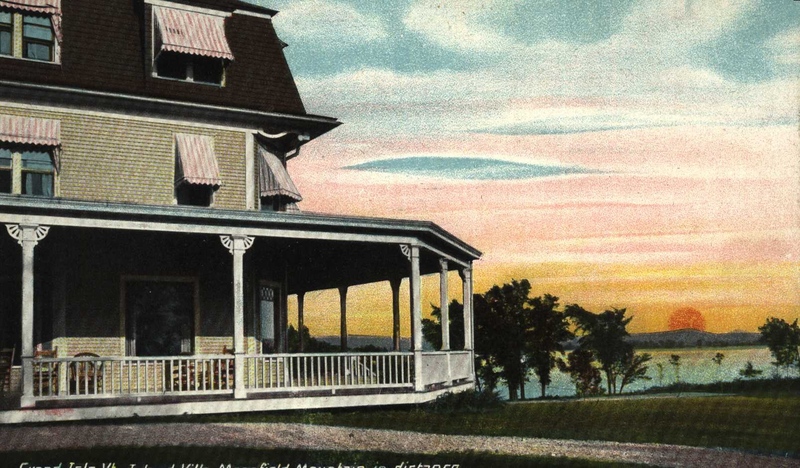 The Briggs family of Burlington purchased Robinson’s Point and built the main building as a hotel in 1903. Embodying true Turn-of-the-Century charm, the property was named the Island Villa Hotel and soon became a spot frequented by the “who’s who” of the Northeast. The Island villa had the rare (for the times) luxuries of electricity and running water, and had the good fortune to emerge contemporaneously with the Rutland railroad on the island. 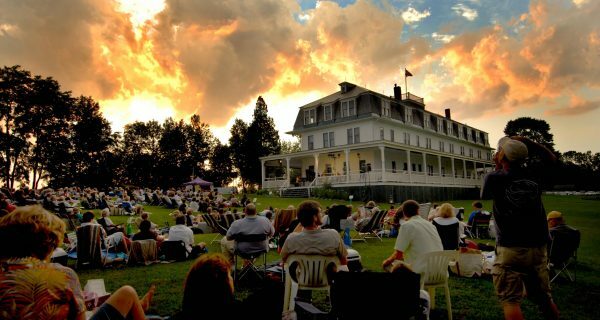 These factors proved the perfect complements to the beautiful property, and this Vermont getaway became an irresistible lure for city folk from Philadelphia, Boston, New York and more. Summer camps provided those with children a place to deposit them, thought they were more than welcome at the hotel. Those who remember the Island Villa tell of the men and women dressed in “city clothes” arriving for extended stays at the hotel with their families. Croquet tournaments were held each weekend and guests would enjoy bridge parties on the porches well sheltered from passing rain showers. Ping pong and shuffleboard were also available on the porch for rainy days. When the weather was nice, however, fishing was a favorite activity, and a guide showed the guests the best spots. There was a grass tennis court, a beach for swimming, and boats for rent. An enormous garden provided vegetables for the whole season, and a farm across the road provided fresh eggs and cream. Meats were bought locally, and guests often had their fishing catches prepared for their evening meal. Food was kept fresh in an icehouse that would be filled with so much ice from the lake in the winter that it would last all summer. Flower gardens adorned the property and provided lavish centerpieces for the tables at dinner where men were required to wear coats and ties and the women wore evening gowns. During the day, however, practicality reigned and the men were allowed in the dining room for lunch in their fishing clothes. The large central fireplace was a gathering spot after dinner where the ladies would meet to sew together, and the men would often play card or board games. 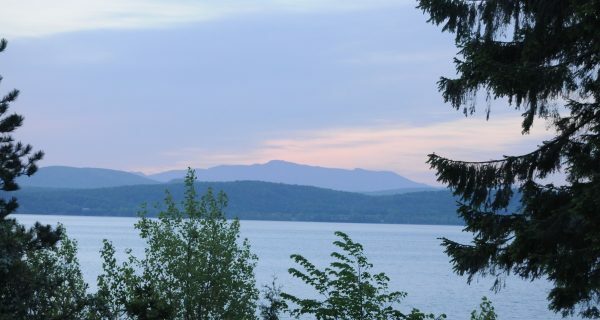 The Lake House is now used for retreats and training with special emphasis on nonprofit users, and for family gatherings and weddings. 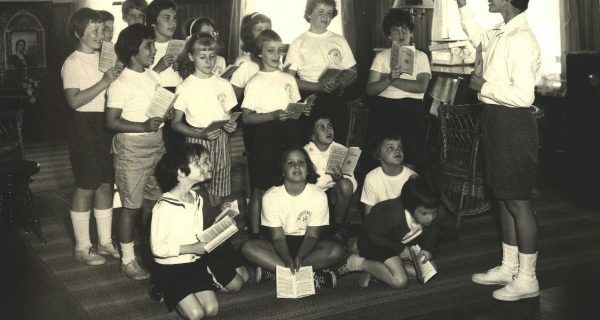 The Sisters of Mercy, a Catholic order, purchased the property in 1956 and opened it as a summer camp for girls.